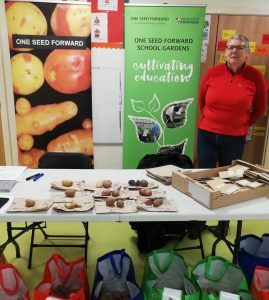 Last week at our climate talk we created the Climate Change Club, giving away three different varieties of seed potatoes to the group. Here is one of these varieties, Home Guard, that we put into a grow bag on Monday. 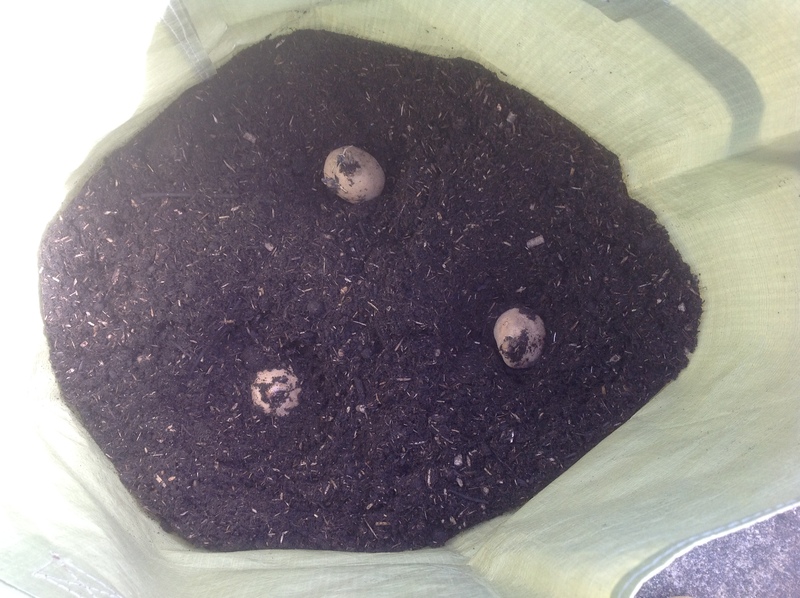 We have used peat free multi purpose compost mixed with some chicken manure pellets, and put 20ltrs of this mix into the bottom of the bag then placed our three seed potatoes in it, chitted end up, and covered these with soil. We will show pictures of how this grows over the next few weeks. Please send us photos of how your growing is doing, and remember we are here to answer any questions you have about growing your own food. 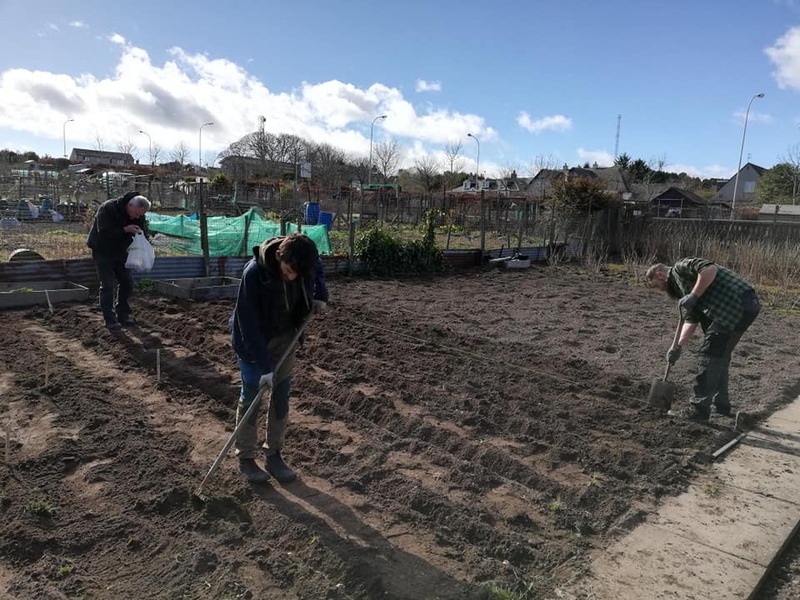 It was planting day on Sunday March 24th with 25 varieties of seed potatoes put into our allotment. Big thanks to Scotty, Andy & Bob S for all the hard work digging, planting and earthing up. We will show you how they all get on over the next few weeks and months. Let’s get growing! What a great day again at Seedy Sunday. 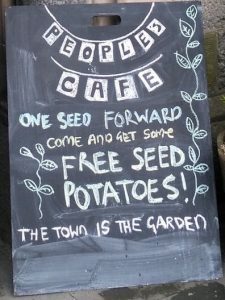 Over 180kg of seed potatoes and some seeds given away to lots of new and experienced growers. Thanks to all the community groups who came along too. Thanks to everyone who battled through the weather to see us at Hazlehead Park today. 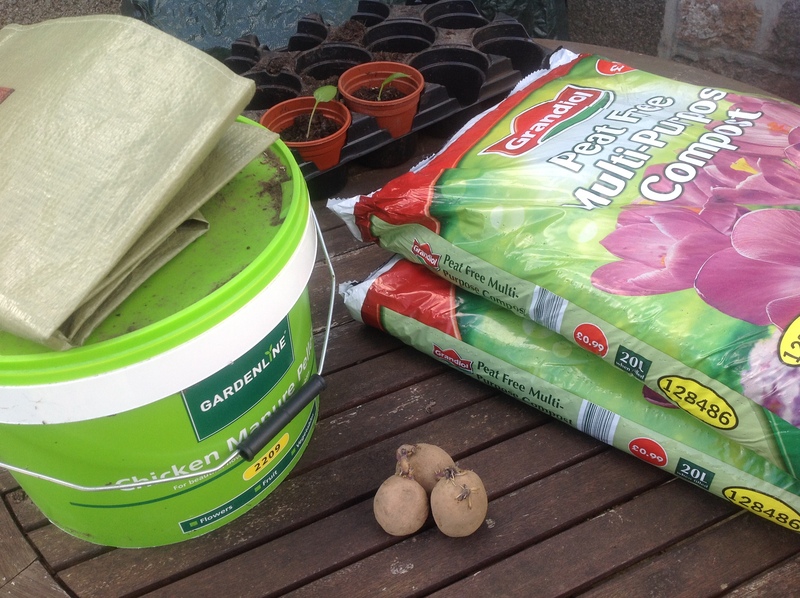 Let’s hope it improves for our trip to Seedy Sunday at Aden Country Park tomorrow, as we have loads of seed potatoes to give away! 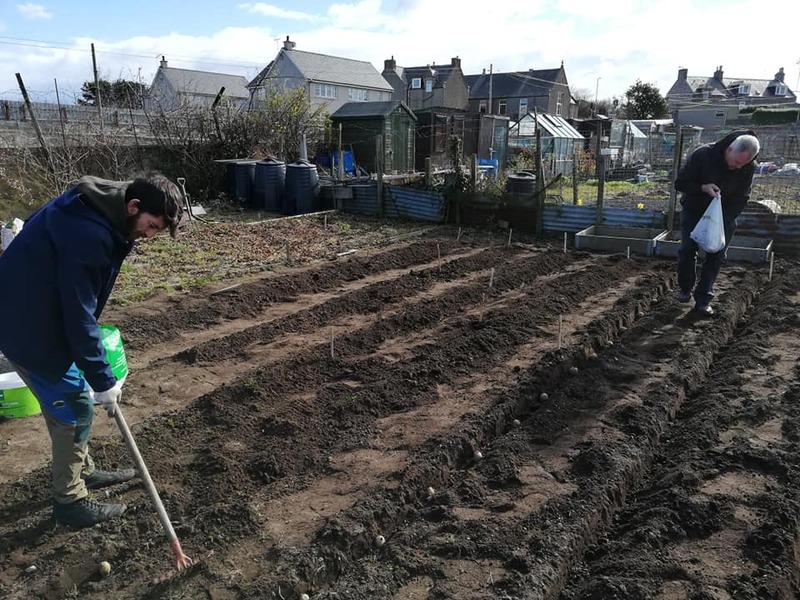 We would like to say a huge thank you to Grampian Growers for supporting us by donating 3 x 25kg bags of seed potatoes to our project. 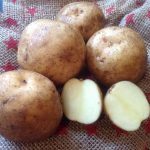 We now have another three varieties on offer for you, second early varieties Gemson and Maris Peer, and a new maincrop one to us called Horizon. Thanks Grampian Growers again, it really is much appreciated! Thank you Huntly! 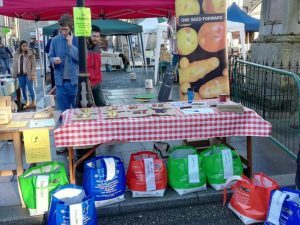 80kg of seed potatoes given out in just over 3 hours. Let’s hope we have a great growing season, and remember to post pictures of how your plants are getting on. And big thanks to Deveron Projects for letting us share space with them on the day. 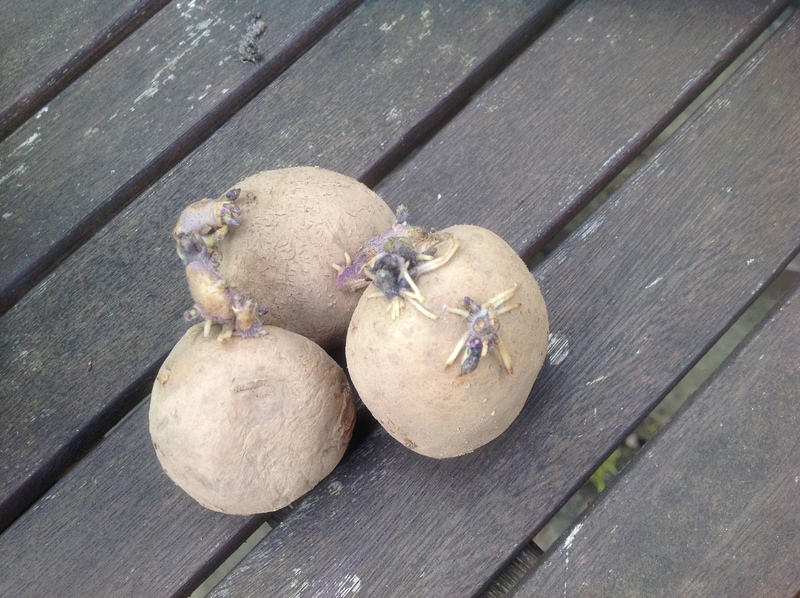 Looking for information about the seed potatoes you got from us at a recent event? 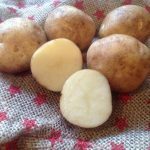 We will have information about our potatoes uploaded by early next week, just check the Growing Potatoes menu on the website. Under each variety we will post pictures of the stages of our growing process – remember to let us know how you are getting on. We are also here for any questions you may have about food growing through the Contact page. And look out for some exciting news in the next few days! 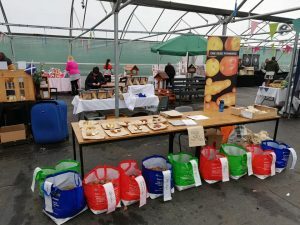 One Seed Forward will be at the Huntly Farmer’s Market on Saturday, March 2nd 2019 on the Deveron Projects stall, giving away FREE bags of seed potatoes. 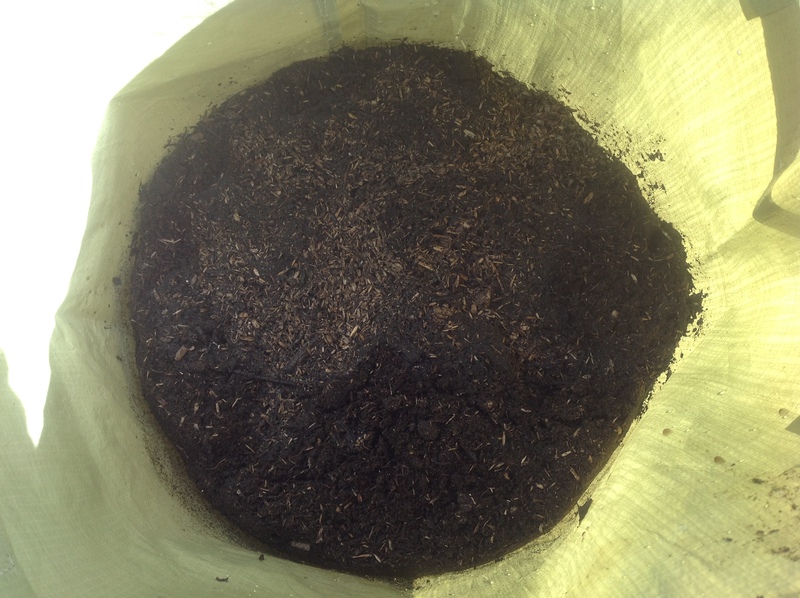 OSF will have a variety of First Early, Second Early and Maincrop for you to try growing. 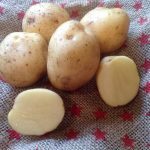 Just check out our Growing Potatoes section on the website. 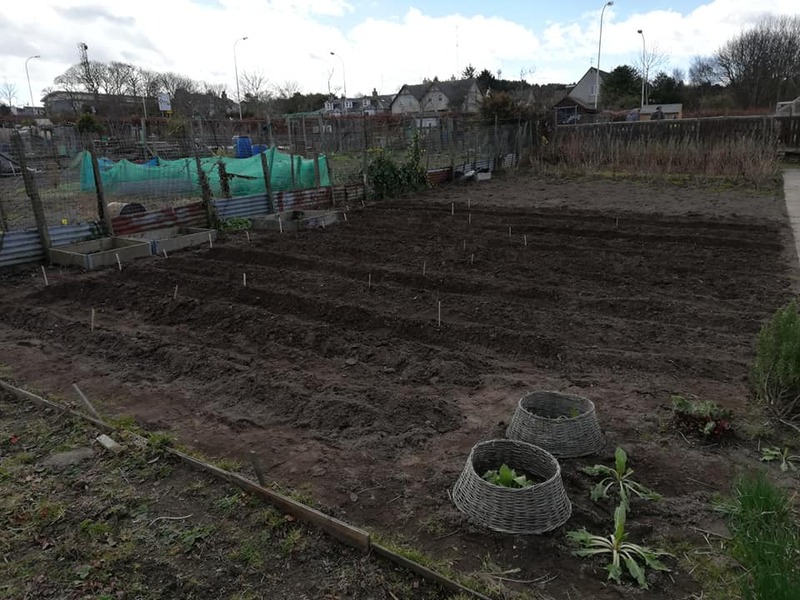 It was a pleasure to meet Norman and Stuart from Garthdee Allotments yesterday. 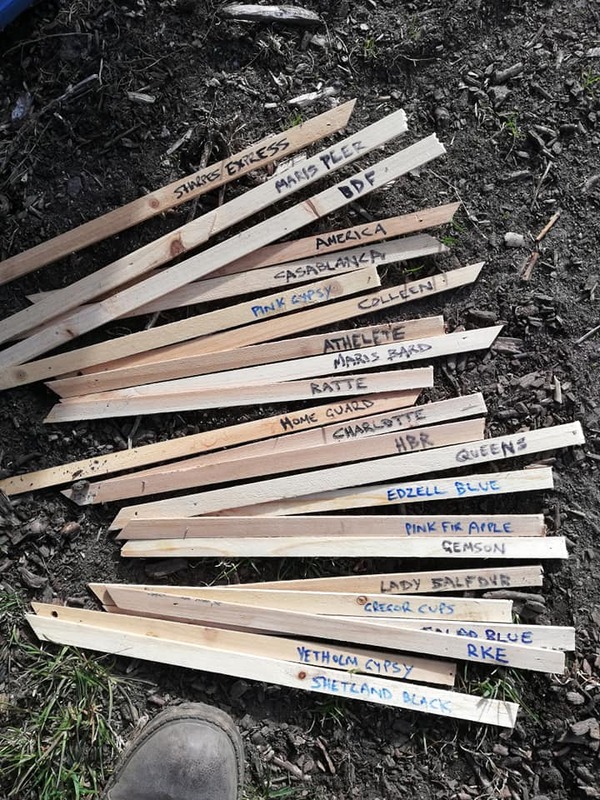 They do a lot of work with primary schools and groups on their site, expanding knowledge and outdoor learning. Following our meeting we are pleased to post a link from their website about the great work they are doing with schools in the local area, as well as some info about ourselves. We look forward to to developing our relationship over the coming months.